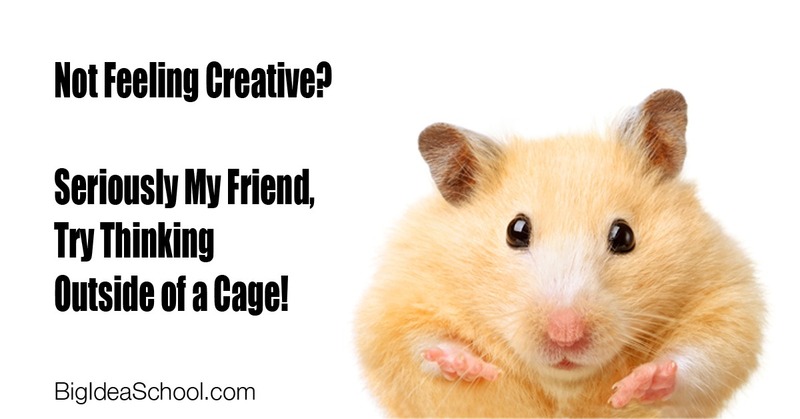 Are you blessed with creativity? When was the last time you created something, anything? My partner and wife, Mary Lou, uses (clean) toilet paper as an added filter in her Mr. Coffee machine. No one told her to use toilet paper she just didn't want to pay for expensive preformed paper filters. Is that being creative? Of course it is. A lot of people who study creativity like to parse the difference between invention and innovation. I'm not sure why this is important except to be used as a question on a multiple choice test. What is important to Mary Lou and me, and to most of the people we know who make their living creating new products, is this. How can we create products that solve problems people care about and will pay for? So I want you to try a process we invented to create new products. We have been creating consumer products for 40 years. We discovered many years ago that one good way to develop a new product is to deconstruct old products. We take apart the parts or attributes of existing products and reorganize, interchange or replace those parts in novel ways. We call this "attribute listing." The video below is taken from our online course called How ﻿You﻿ Can Create Simp﻿le﻿ Products That People Love, and That might Even Make Your Rich Interconnecting attributes is like taking the head or body of one animal and replacing it with the head or body of another animal, insect, machine or any material or object you can think of. By playing with product attributes you can create all kinds of new outcomes. The video below applies to creating new consumer products. However, "attribute listing" can help you solve any kind of problem. You can solve organizational and manufacturing problems, economic and political problems and even problems related to parenting. Watch the video. Then apply the concept to a problem you are facing. Deconstruct the parts of the problem. List the attributes and discover a new way to think about your problem. Let us know how you applied it. We're curious!